Incoming first years are required to take all the core subjects. Students who have not studied Irish in primary school should see the Principal. Any other problems regarding core subjects should be brought to the attention of the Principal. It is strongly recommended that a European language be chosen at Junior Cert level. Practical subjects such as Art, Music, Material Technology Wood and Technical Graphics are good choices if your son is interested in any aspect of these subjects. 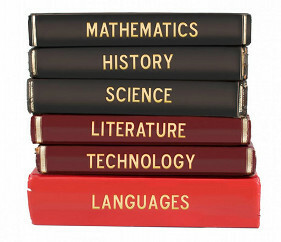 Some students however make the mistake of thinking that these subjects have no academic side. All practical subjects have an academic content. St Eunan’s offers three different programmes at Senior Cycle. Students may take Transition year or go directly into either of the two Leaving Certificate programmes. The two Leaving Cert programmes are distinct two year courses. The first is the traditional Leaving Certificate and involves taking seven subjects for the purposes of the Leaving Cert examination, along with non-exam subjects already referred to at junior level. The second programme, the Leaving Certificate Applied suits students who do not wish to go on to the academic Leaving Certificate. Transition Year has a number of advantages for the student. The programme promotes personal, social, educational and vocational development. The programme offers the students a new and varied range of subjects. It gives space for the pupil to learn, mature and develop in the absence of examination pressure. This year provides a bridge to help students make the transition from a highly structured environment to one where they will take greater responsibility for their own learning and decision making. An extra year of maturing is given to the students before choices for the Leaving Cert have to be made. The aims for the year are threefold…. The greater part of the marks are given for work completed during school hours, i.e. Course work, 40% Tasks, 27% & Examinations (written)33%.